In December 2012,i started my weight loss plan. Apparently,i looked in the mirror and saw a slim pig with a puffed-up face and who’s legs are squeezed through a pair of too-tight shorts with very obvious cellulite bulging out from every view of my upper thighs.Eww. So i told myself that everything must change. 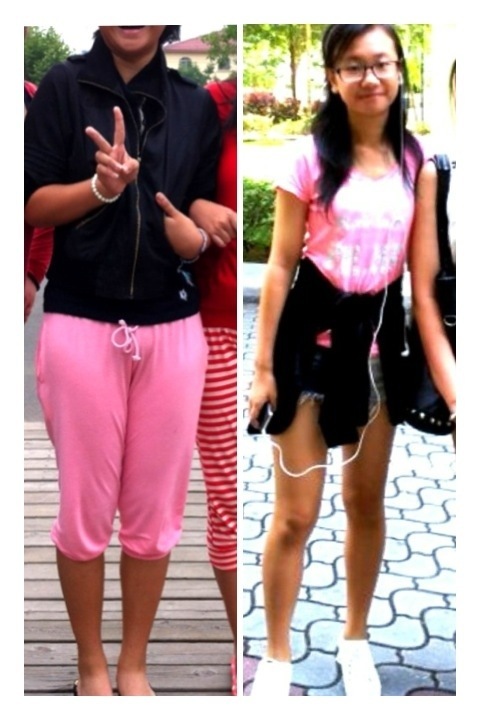 I am Elaine,turning 15 in may this year(2013) and for the whole of my one-and-a-half months of december school holiday last year,i have changed my diet completely and started to jog as a hobby.I jogged for 3-4 times in one week for the whole holiday.